Stellar streams are essentially clusters of stars that have been pulled apart but that still move in a correlated way suggestive of their related past. Discoveries like these are exciting for the way they help astronomers understand not only the Milky Way’s past, but the way it looks today. The most recent release from the European Space Agency’s Gaia mission comprised the largest star map ever created, describing the positions and motions of over a billion stars. Scientists have been hard at work sifting through the data in order to glean insights about the structure and history of our galaxy. 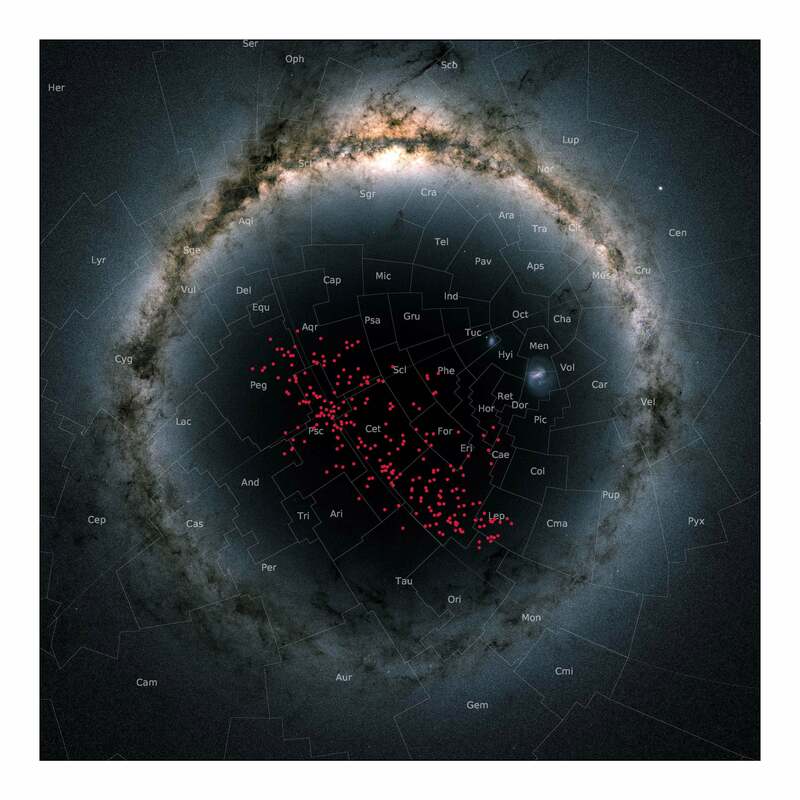 The dataset allowed the scientists to look at the positions and velocities of nearby stars taking on a river-like shape—Gaia’s large field of view let them analyse different properties of the stars simultaneously. Their results revealed 200 stars in a stream passing only 325 light-years or so away from our own Sun. By extrapolation, they estimated the stream could contain at least 4,000 stars and be at least 1,300 light-years long, according to the paper published in Astronomy and Astrophysics. Evidence suggests that stellar streams are the result of gravitational forces pulling apart clusters of stars born together. Other recently discovered streams are associated with matter outside the disk of the Milky Way, in the region called the Halo, including the one supposedly responsible for an impending “hurricane of dark matter.” The apparent stream described in the new paper lies within the galaxy’s disk, however. There are still uncertainties as to the age of the cluster, Meingast explained, and the reported size is an estimate based on extrapolation. But hopefully further observation will reveal the true nature of this stellar stream. Our position inside of the enormous Milky Way makes determining the galaxy’s shape difficult. Understanding these streams and other structural intricacies may one day let us understand our galaxy without having to leave it to get a birds-eye view.